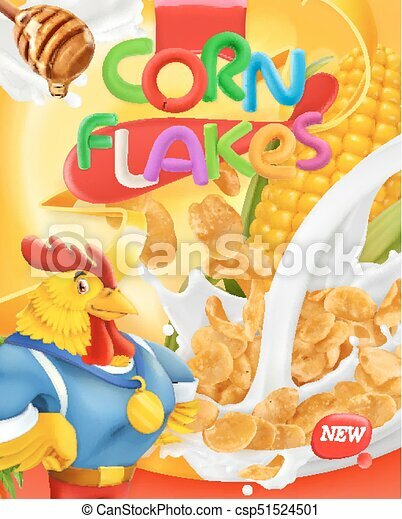 Corn flakes, rooster mascot. honey and milk splashes. 3d realistic vector, package design.